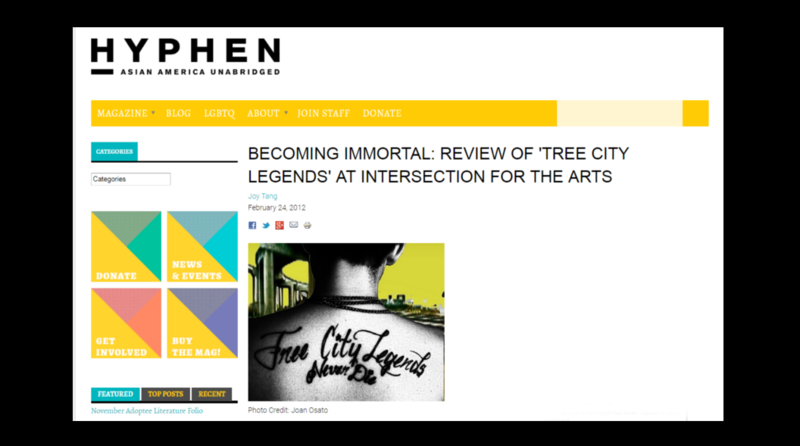 "Tree City Legends is a multidisciplinary theater work that melds post-hip hop aesthetics, urban folklore, Korean traditional tales, live music, legend, and parable. It is all together, part bildungsroman, part blues song, and part Book of Jonah remix. Biblical imagery, multi-perspective narrative, and a sense of longing underpin the main character, Junie’s story. These elements haunt Junie’s rise and demise as a folk-singing sensation and eventual escapist. The bitter realities of the neighborhood block and a ghostly past loom in the background as a family of brothers struggles to make sense of a world that was not made with them in mind. 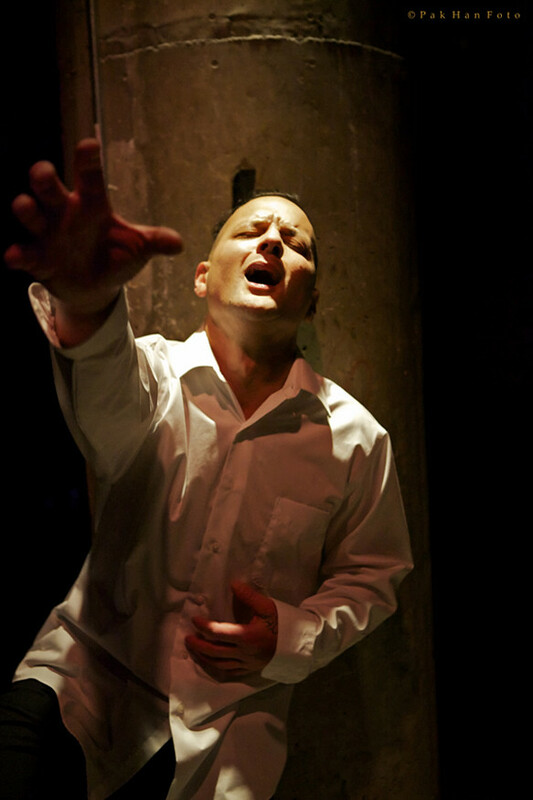 The piece expands beyond any specific Korean American experience and explores the profound feelings of rootlessness and abandonment of urban people of color, specifically Asian Pacific Islander American immigrants in tracing the lives of the Kane brothers." "In this work, it is as if each remembrance is an act, each story a method of giving voice to the loved ones society might too easily reject. This is not unfamiliar territory, but Tree City Legends' treatment of the content makes this work moving. Every narrative traces the outline of urban desolation, childhood abandonment, and being Other American..."